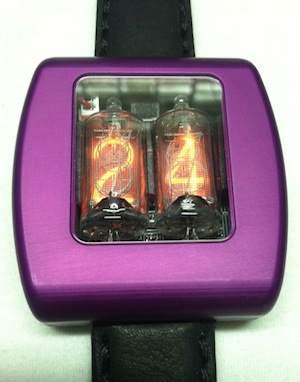 I am pleased to announce that my new square Nixie watch is available! I have redesigned it to be more sleek and thin. It comes in colors. It's USB rechargeable and water-resistant. Click on the watch to learn more. Nixie watches are back in production. This is the old style round, black watch. You may have seen it on the wrist of a certain computer geek. 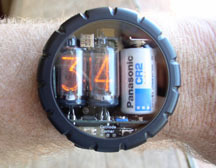 Click here to buy a Nixie watch. 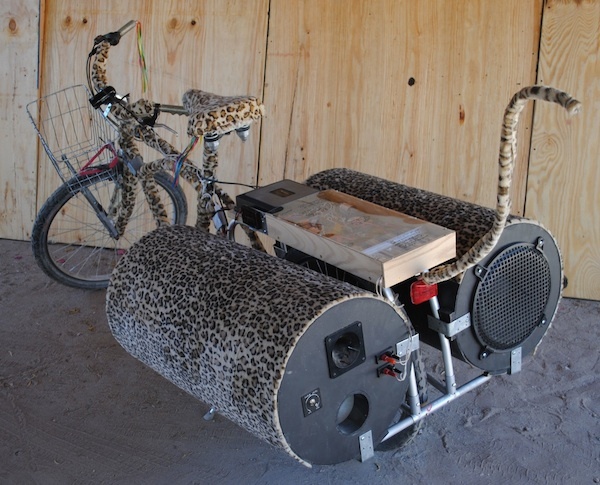 I make a sound system for bicycles that I call the Bike Boom Box. 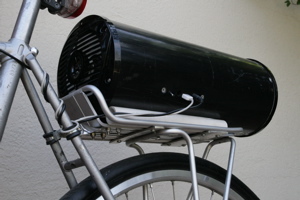 It provides 15 watts per channel of stereo sound from an MP3 player and bolts to your bike's rear rack. I also made a super-big bike stereo called The Loud Bike. It makes 300 watts of danceable music power. Bring the party with you! I figured, why not make a TV set that you can wear. A big TV set. Go ahead, click on it. 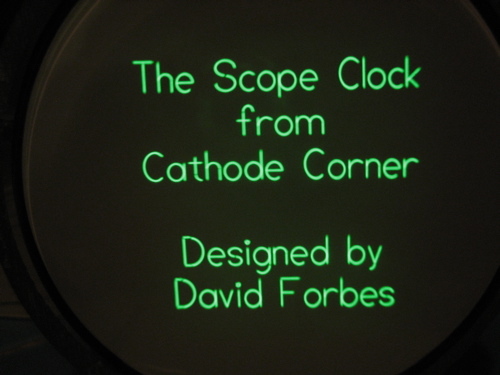 OK, so the new Scope Clock board isn't quite ready yet. I was not happy with the quality of the new circle generator circuit. I've got some ideas for improving it, and I do have plenty of CRTs to make clocks with. Here is some information on the 2008 board. worthy of sitting on the mantel of the finest home. Click on the picture for more information and photos. and many B5870 nixie tubes available for my clock/watch customers. Send me an email for details. 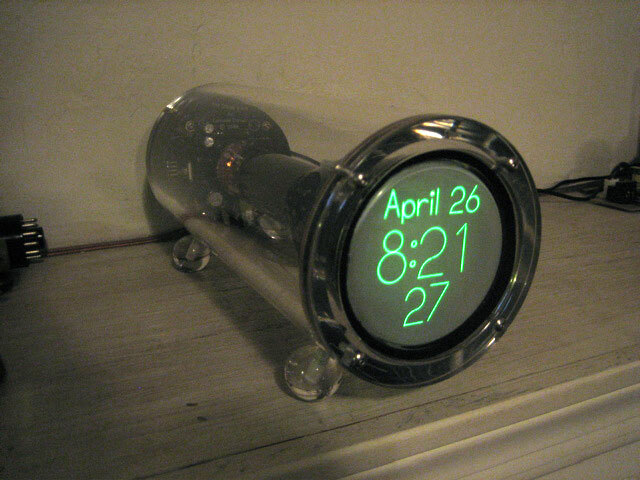 Shipping for nixie tubes is $10US (US/Canada) per order. Shipping for CRTs is $15US (US/Canada) per order. 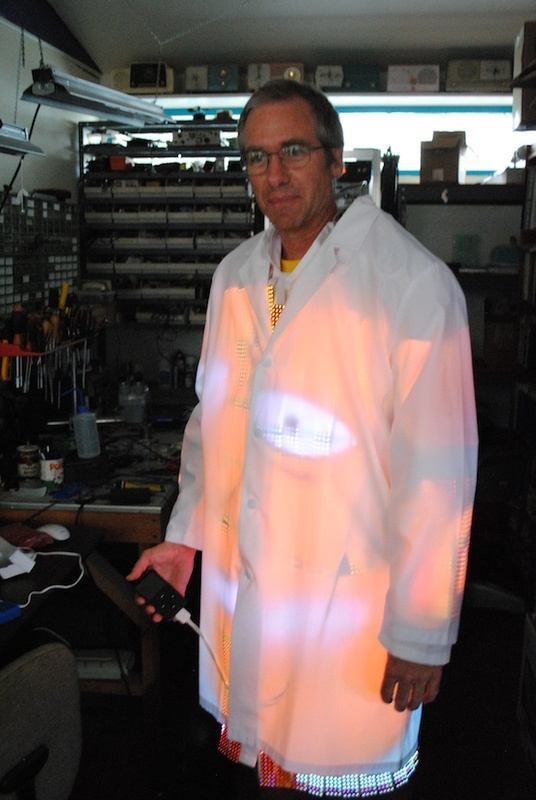 Nixie tubes are no longer made. Prices subject to change! Send an email inquiry to obtain our shipping address. My Ebay username is nixiebunny if you want to check my feedback. 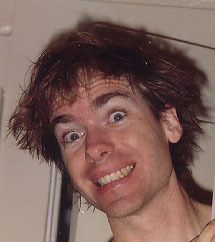 I now have a personal website with various electronic and other stuff. It's over at www.NixieBunny.com. Page updated on December 2 and ©2013 by David Forbes.